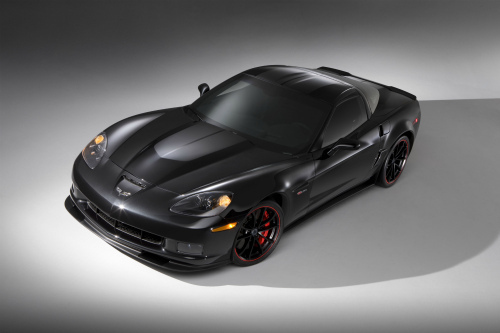 2012 Corvette Z06 Fixed-roof body style optimizes body rigidity and mass; offered in three trim levels – 1LZ, 2LZ and 3LZ. Wide carbon fiber front fenders and carbon fiber floor panels.Available carbon fiber hood. Available “CFZ” carbon fiber package, with carbon fiber roof, rocker extensions, front splitter and ZR1-style rear spoiler.Wide rear fenders with flares cover the massive rear tires and a brake cooling scoop in front of the wheels visually balances the fender extractor. Tall rear spoiler houses the CHMSL on the top of the rear fascia.Ten-spoke spider-design wheels (18-inch front; 19-inch rear).Four large stainless steel exhaust outlets. Z06 badging on the carbon-fiber front fenders. New customer-selectable brake caliper colors offered in yellow, silver and gray. Red calipers are standard. The seats feature microfiber suede accents on seats, steering wheel, shifter and armrests, which were first used on the 2011 Z06 Carbon Limited Edition. New seats feature improved appearance and larger bolsters on the seat back and cushion areas to provide better driver support, especially in high-performance drivingMicrofiber seat inserts are included with the leather-wrapped interior (3LZ). Steering-wheel mounted audio controls are on all models.SiriusXM Satellite Radio with a one-year subscription is included with the Bose audio system. An onboard navigation system with voice recognition is included with 2LZ and 3LZ models. It is a DVD-based system that uses a 6.5-inch (165 mm) color touch-screen display. Head-up display is available on 2LZ and 3LZ models and includes Track Mode with g-meter. A custom leather-wrapped interior package is standard on the 3LZ trim, featuring a leather-wrapped upper and lower instrument panel, door pads and seats; choice of exclusive colors: Dark Titanium, Ebony or Cashmere, with unique color breakup; padded door panel armrests; “Corvette” embroidered on passenger-side dash pad and a unique center trim plate with a gunmetal pattern. The LS7 is hand-assembled at GM’s Performance Build Center in Wixom, Mich., and incorporates special processes typically seen in racing engines to produce a highly refined and precise product. Limited-slip differential, with enlarged ring and pinion gears.Stronger axle half-shafts with stronger universal joints transmit power to the rear wheels. Advanced structural composites featuring carbon fiber are bonded to the aluminum structure. The wider front wheelhouses, for example, are carbon composites, and the passenger compartment floors combine carbon-fiber skins with an ultra-lightweight balsa wood core. A magnesium cradle that serves as the attachment point for the engine and some front suspension components. It is lighter than aluminum, yet incredibly strong, and helps improve the front-to-rear weight distribution, as do carbon-fiber front fenders and wheelhouses. Red-painted six-piston front calipers that use six individual brake pads. Individual brake pads are used because they deliver more equalized wear compared to what would otherwise be a pair of very long single-piece pads. Rear brakes use four-piston calipers with four individual brake pads. 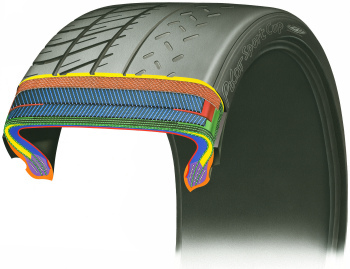 New on the 2012 Corvette Z06 are Michelin® Pilot® Sport Cup Zero Pressure tires, developed by the same Michelin engineers who develop tires for Corvette Racing in the American Le Mans Series. They are essentially street-legal versions of a racing tire. A new, full-width racing style spoiler for improved aerodynamics.Enhanced cooling. Standard four-wheel-disc brake systemPretensioners minimize forward movement during a collision, and are standard on the front safety belts. Load-limiting retractors cinch the belt more tightly. 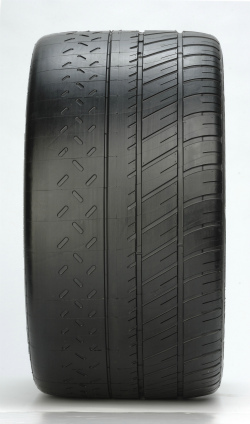 Tire pressure monitoring system and run-flat tires are standard on all models. Standard remote keyless access with push-button starting.Strong body structure to absorb crash energy and provide a protective “safety cage” around occupants. 2012 Corvette Z06 is offered with OnStar as standard on all models. It uses GPS and cellular phone technology to automatically call for help in the event of crash. OnStar subscribers also can use the service to be Good Samaritans by sending help to other motorists, and to call for help in other non-crash emergencies.